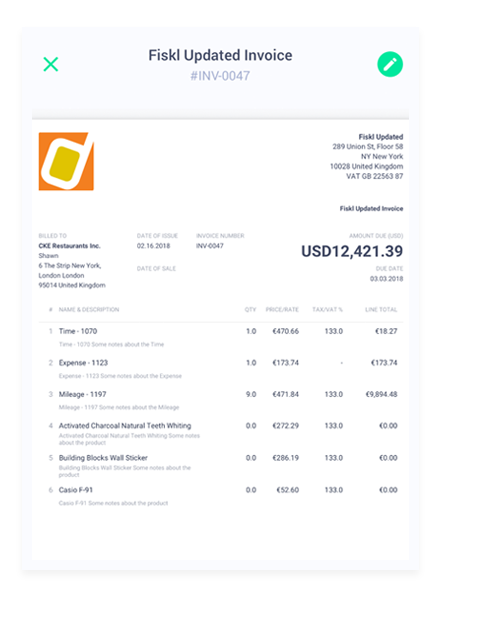 invoice clients on the go. Time means money. And why not have both! 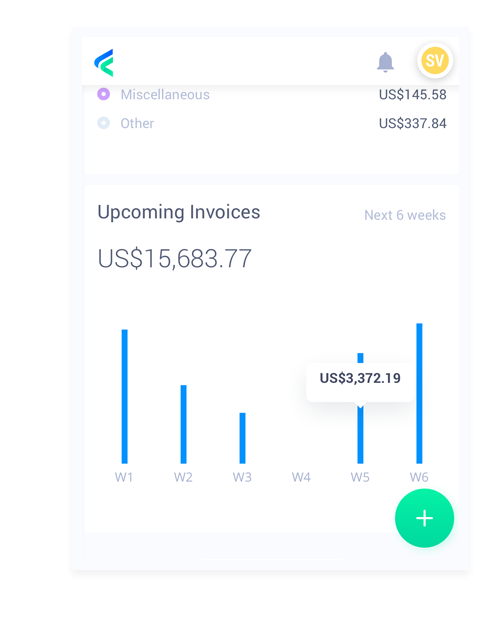 Fiskl gives you powerful tools to run your small business: automated time tracking, products and services lists and expense scanning make invoicing your clients a breeze. 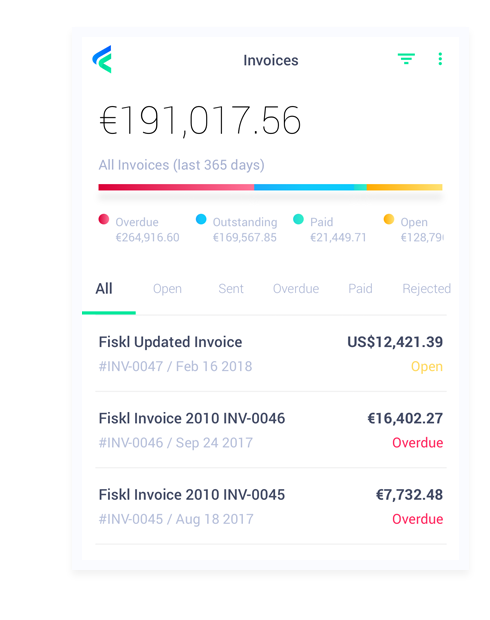 With Fiskl, you can send your invoices the second the work is done, wherever you are. 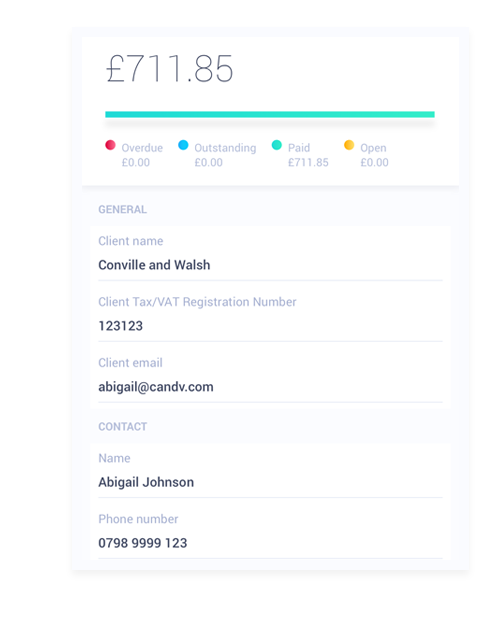 Create, preview and email beautiful customised invoices from any device. You’ll get paid faster and have more time for your customers. No more paying for expenses upfront or waiting until the end of a project to get paid. Request a deposit on your invoice and just relax knowing you’ll get the money you need at the start. Use the automated time tracker and see exactly how much time you’re spending on clients and projects. Once you’ve finished your work, add it directly to an invoice with just a few clicks. 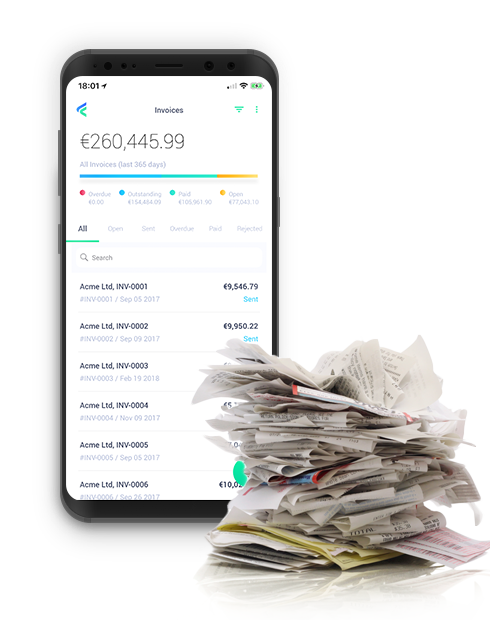 Your client data can be imported directly from your mobile and stored in one place, from here you will see, at a glance, just how much your client has outstanding and if there are any overdue invoices. 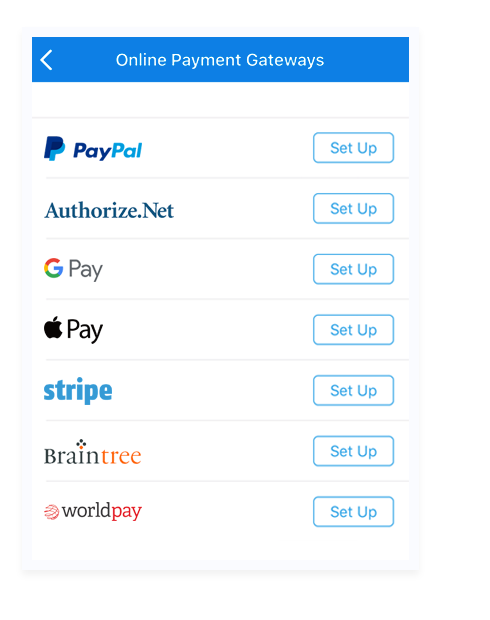 Put an end to payment delays with online payment processing. Accept credit card payments, give great customer service and get paid faster. Your business can accept all major debit and credit cards from customers in every country in 135+ currencies. 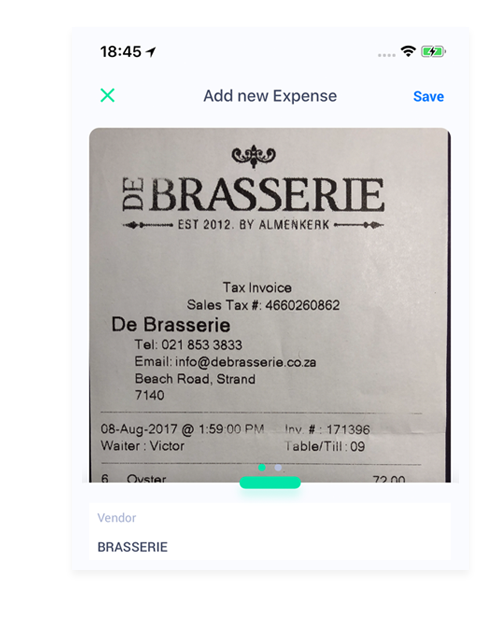 Fiskl uses intelligent learning software to help you capture and process your receipts in seconds. Simply point the camera to your receipt or take a photo of it and Fiskl will automatically extract the vendor, date, currency and total. Take the guesswork out of your mileage logging! By using the integrated Google Maps and preset mileage rates, Fiskl will do the calculations for you. You’ll have accurate mileage reports at your fingertips. 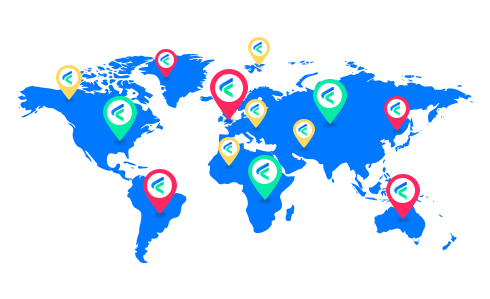 By matching your expense with the tax friendly categories already stored in Fiskl, you will know exactly where you are spending your money and you’ll be well ahead at tax time. 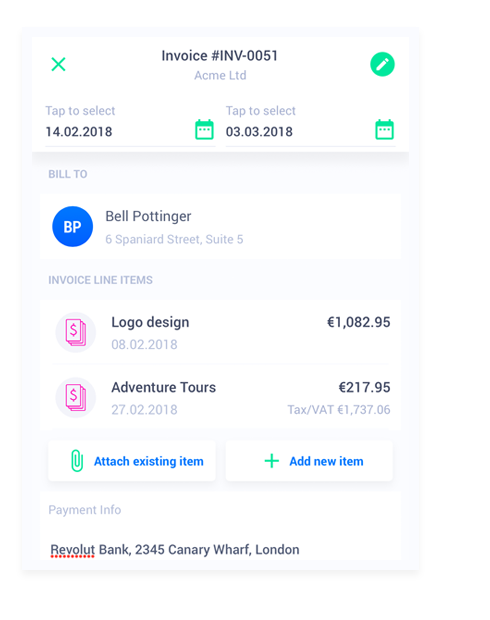 With Fiskl, you can assign your expense to a client and directly attach it to an invoice. Billed expenses are clearly marked and any un-billed ones will automatically show up when you invoice your client. 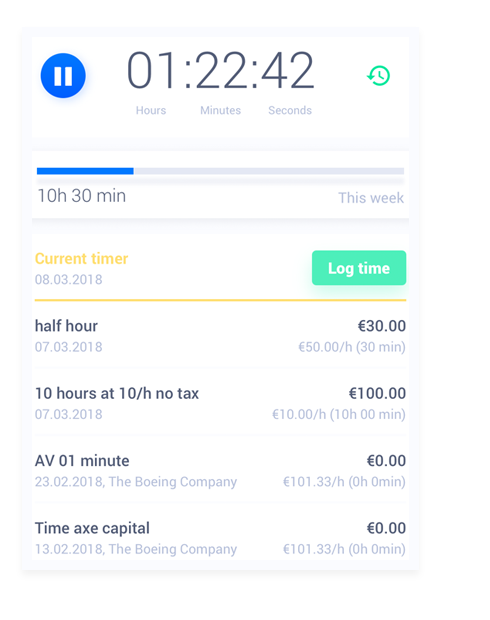 Track expenses in over one hundred currencies with real-time exchange rates. Bill them to your clients, submit them for reimbursement via expense reports or track tax deductions. 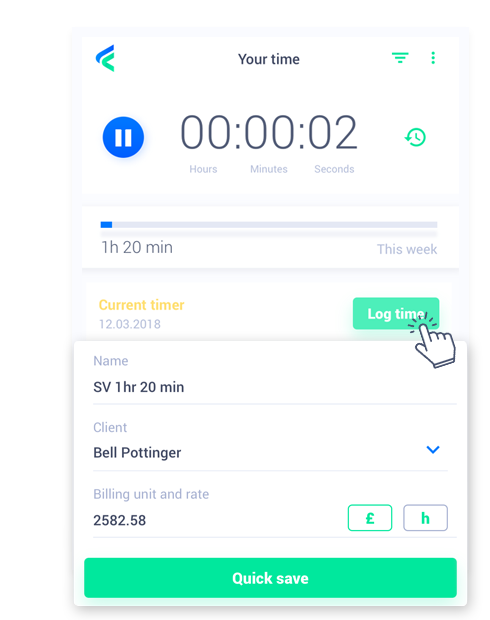 You can enable download of your business bank account transactions, and Fiskl will automatically record your business expenses so you have a real time view of your cash flow. And no more shuffling through bank statements at tax time! Encrypted cloud storage automatically and securely stores all your sensitive business documents. We retain all your documents for 10 years and you can always access them. Throw away your shoeboxes of receipts today! With Fiskl you can focus on the work, not on the clock. The built-in, easy to use timer with quick save functionality lets you track from anywhere. Whether on mobile or desktop, your timer will always be perfectly synchronised. 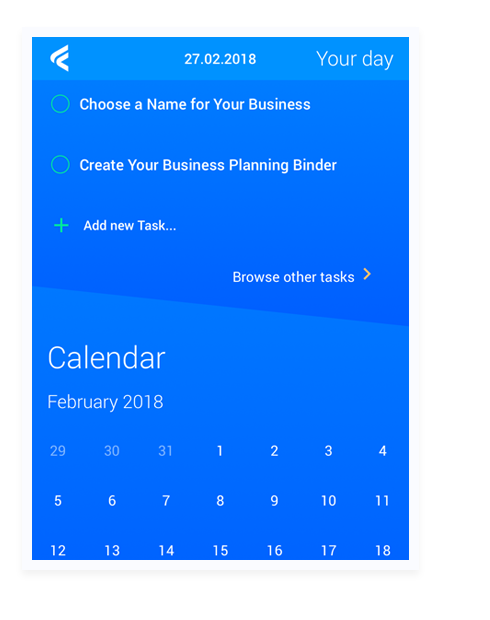 Keep your business to do list, project tasks and upcoming events/milestones in Fiskl. Every day you will see a snapshot of the day’s tasks and upcoming events so you’re always on top of your business. Plan ahead your whole month or quarter with events, project milestones or key business and accounting dates. Keeping everything in one place will help you better organise your days and the whole business. 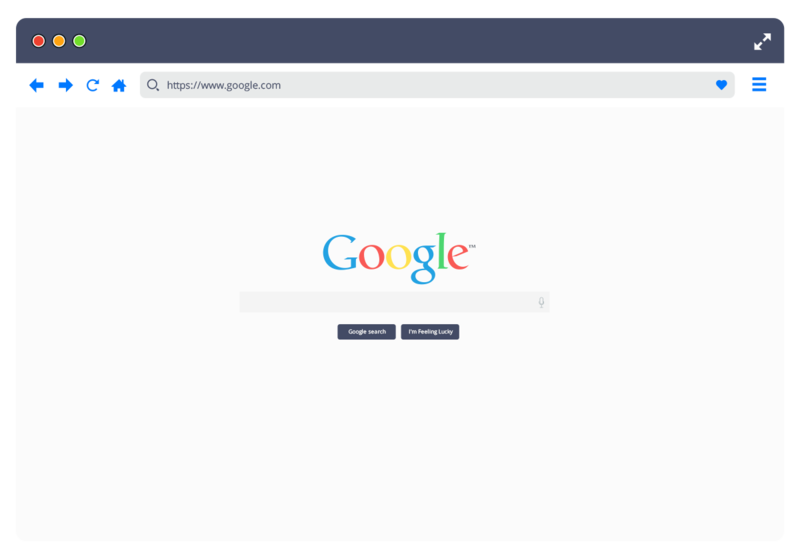 Google Calendar integrations are also coming this year! 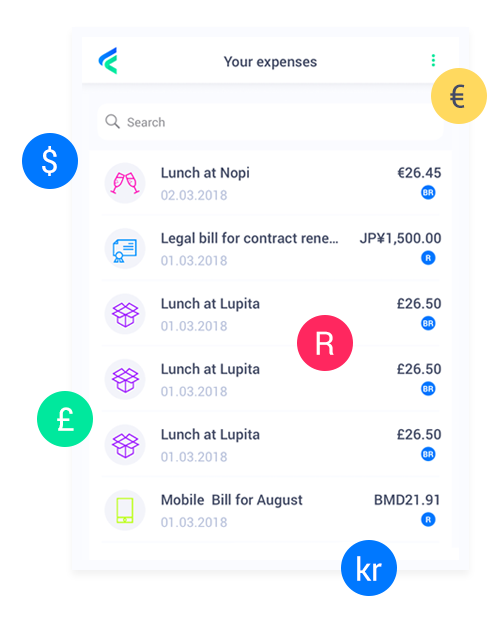 See the status of all your items at a glance: whether expenses have been billed, quotes have been accepted or invoices that are overdue. 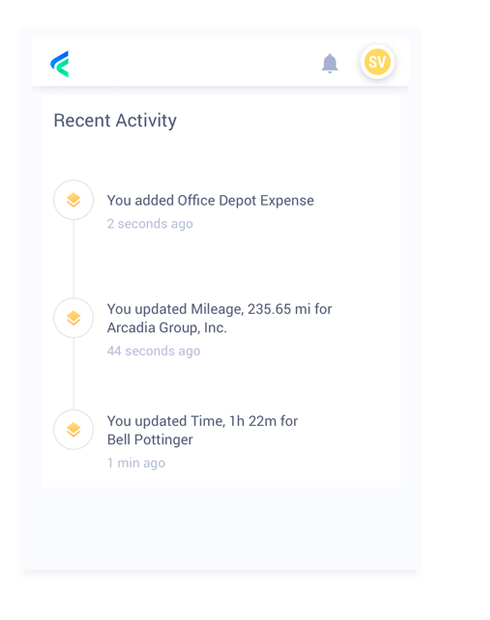 Mobile notifications will let you know when any item is overdue, then you can quickly action it. Enable your staff, contractors or partners to submit expense reports in Fiskl for approval and reimbursement. Combined with receipt scanning, this will help you keep track of all other staff expenses and mileage incurred. All your expenses are seamlessly synced via our secure cloud infrastructure. You can always look up a receipt photo, share costs with your accountant or see where what your biggest spend areas are. 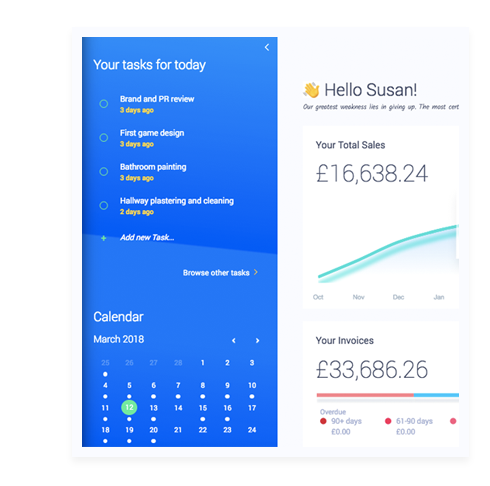 See how your business is doing in less than 30 seconds and get an instant snapshot of cashflow. Know exactly where you stand financially and plan ahead for what’s next. Fiskl makes it easy to know exactly how your business is performing. 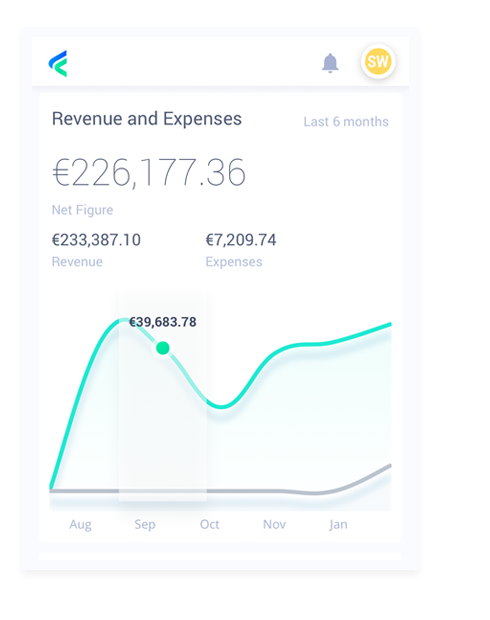 View your business’ health instantly with snapshot reports showing your profit and outstanding revenue right on your home screen. Do you know exactly your cash flow for the next month? 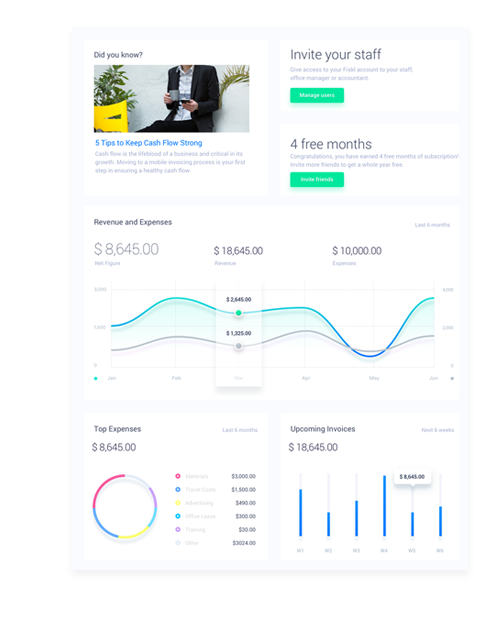 Fiskl gives you a preview of your next 6 weeks of incoming revenue so you can rest easy knowing you can cover all your business costs and payroll. 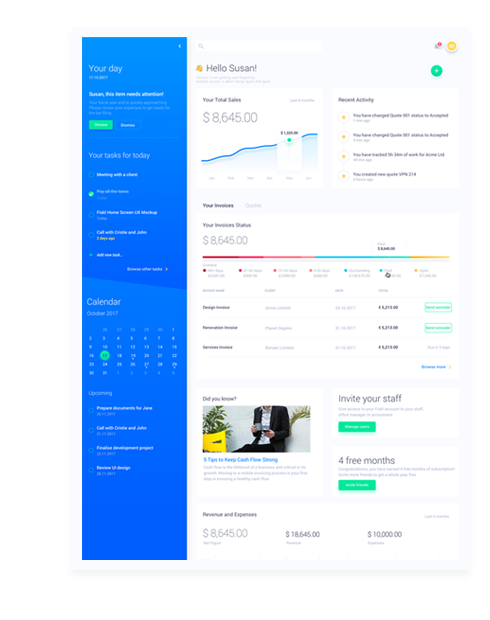 Fiskl easily reminds you where you left off in managing your finances. We know that between client work, phone calls and other many tasks, you will need a quick hint of your recent activity so you are back into your work flow. As a business owner you are constantly juggling multiple priorities. Let Fiskl take some of the load off. Our intuitive one screen business view helps you plan each day in the time it takes you to drink a cup of tea. It’s never been easier to manage your staff, whether local or off-site. 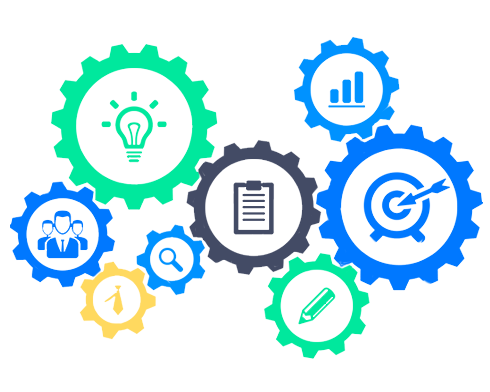 Whether employees, contractors or temporary staff, you can add them to Fiskl and assign them permissions for managing items or billing. 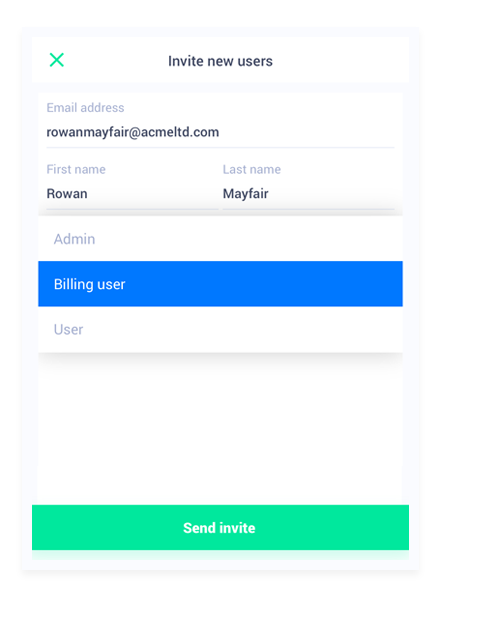 As a business owner, you want to empower your staff to track their own items, manage billing or even have full admin rights. 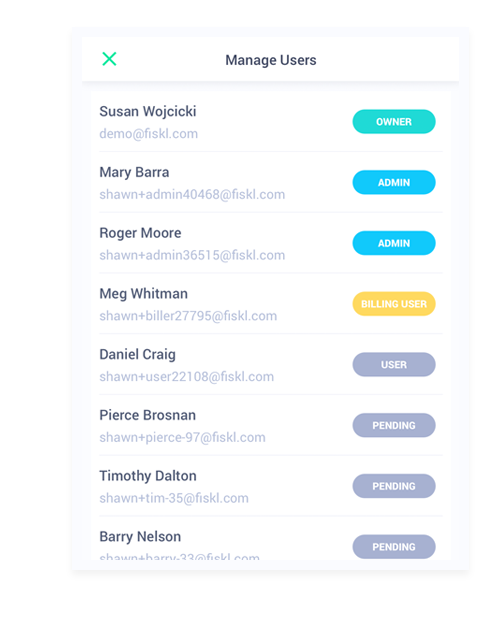 Fiskl gives you the flexibility to assign feature level permissions, while you have the full overview of the business. Lighten the workload – your team and accountant work on real-time data. 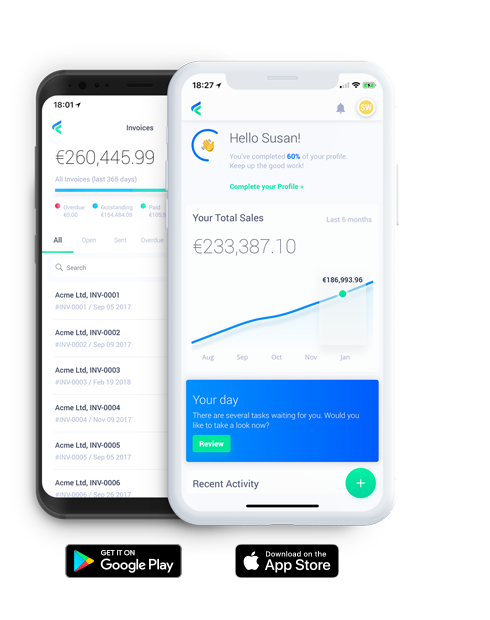 Invite your accountant to Fiskl so you can collaborate in real time! Assign them admin rights so they can help file your taxes, monitor revenue, expenses and cash flow. In Fiskl, all your numbers are in one place so you can always be confident of the status of your business. Never forget an important financial deadline again! Fiskl can automatically remind you about your all tax filing dates. 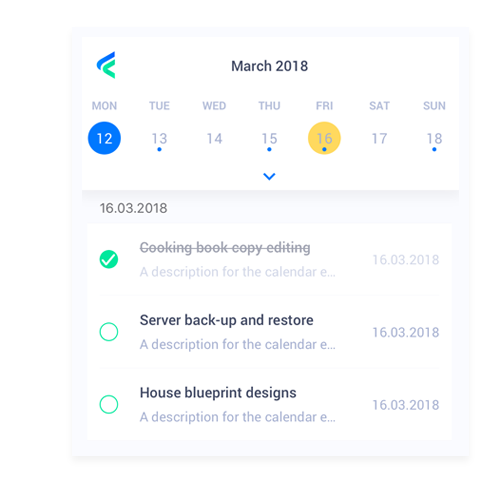 You can also set events, tasks or milestones in the calendar. Fiskl has built in Business Continuity and Recovery. Your data is constantly backed up in our data centres. A few simple steps will recover all your data in the event your mobile or laptop are lost. 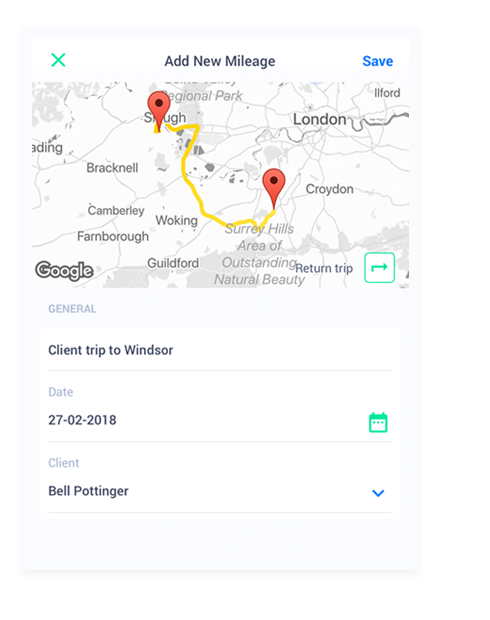 If you have staff or contractors located in multiple countries, they can all track time, log expenses or invoice from their own location. This way, you always have a live overview of all your staff activity. Fiskl helps manage your business on the go from anywhere in the world. No laptop is needed, as Fiskl has all the features supported on its beautifully designed mobile apps. Doing business internationally? 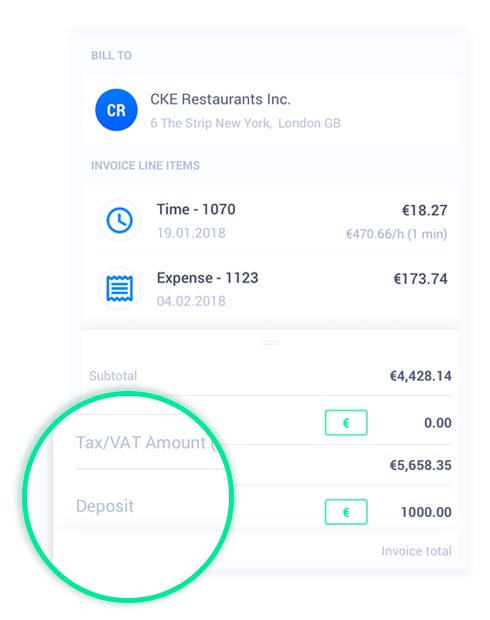 With Fiskl, you can easily invoice each customer in their own currency. 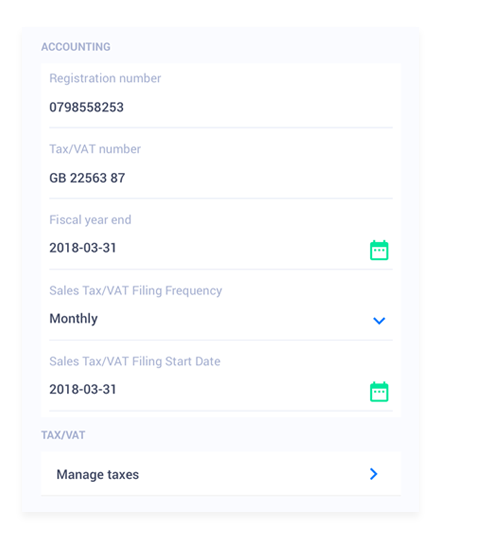 You can also set custom tax, VAT or GST rates for each country/customer. 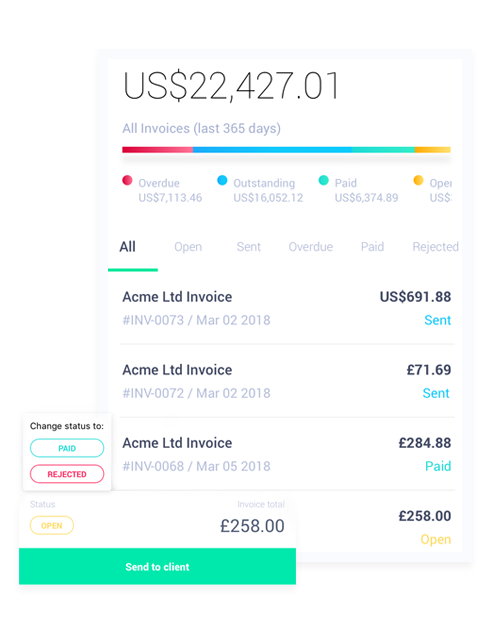 Automated currency conversions are handled seamlessly throughout the app, along with tax and other calculations. European small business? EU VAT numbers and VAT rates for your clients are always synced with the latest EU registries. You’re a busy entrepreneur: it’s time to leave stacks of printed invoices and shoe boxes full of receipts in the past. You will always have them available in Fiskl’s secure data storage. No credit card required. Continue on the free plan or cancel anytime.